1978-2018. 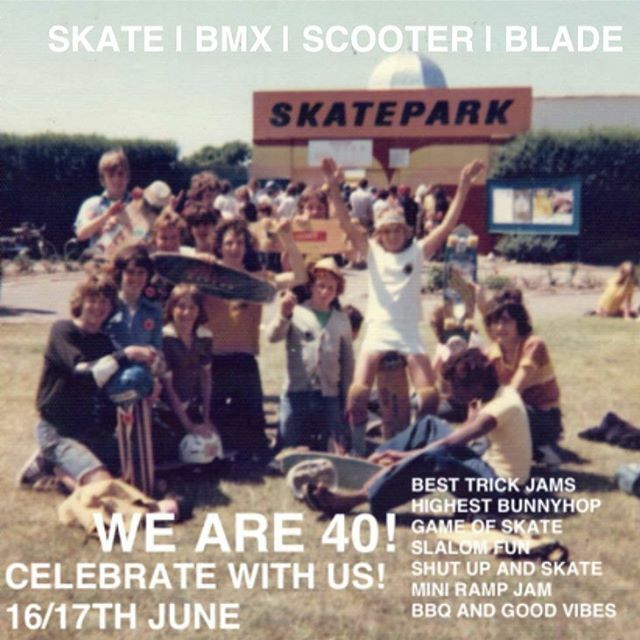 How many skateparks reach 40 years of age!? Did you know we're a charity? Show your love for the park by making a donation. Every pound we raise goes towards improving the park and our facilities. © 2019 Southsea Skatepark – All Rights Reserved. Following an unsuccessful attempt to put the skatepark out to tender in 2005/06, Portsmouth City Council proposed reducing the opening of the park to the summer months only. This was widely seen by the users and others as a step towards closure and provoked a vociferous campaign of objection. In response, the Leader of the Council threw out a challenge to the park’s supporters to come up with a new body to take over the park operation. A number of individuals came together, registered as a not for profit company and subsequently as a charity and negotiated the transfer of the park on 1st April 2011. 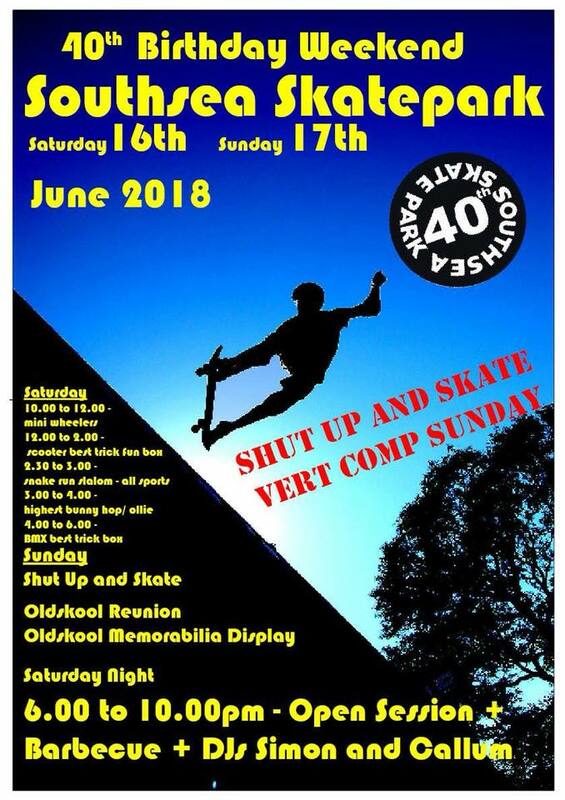 The Southsea Skatepark Company (working name Southsea Skatepark Trust), has a 60 year lease on the park at a peppercorn rent. In the first five years of operation the Trust received year-on-year reducing revenue funding from the Council. This funding ceased on 31st March 2016, since when the Trust has been wholly self-funding. As an additional income stream, the Trust opened its own onsite shop in 2014, selling scooters, skates, helmets and spares, as well as a range of own branded goods. The Trust also owns a catering unit within the park, which is rented to an independent operator and yields a rental to the Trust as well as providing a service to users, parents and spectators. The Skatepark is open all year round and caters for beginners to professionals, with some 90% of users being under 16. For more information, contact us at the email address shown above.